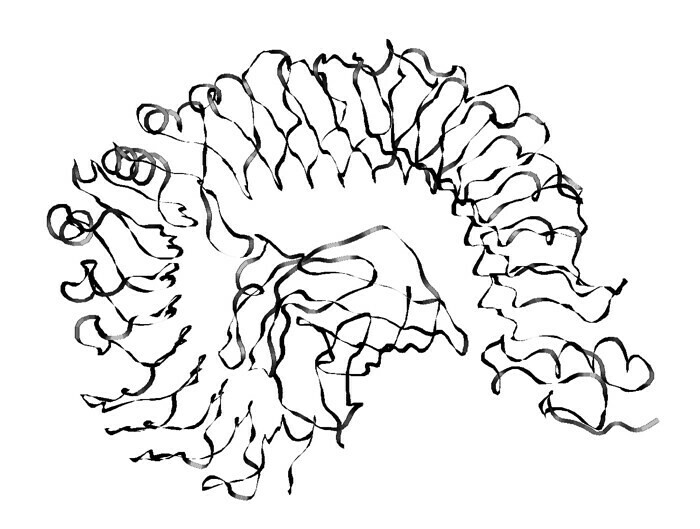 June 5, 2012 / May K.
Some time ago bellamar inspired me to draw the toll-like receptor. And here is the result which is also consistent with the latest news. The TLR4-MD-2 complex shown here contributes to the activation of the innate immune system and thereby prevents a bunch of organisms (including ours) from pathogens. Together with the myeloid differentiation factor 2 (MD-2) toll-like receptor 4 (TLR4) can bind lipopolysaccharides, molecules from the surface of many bacteria. 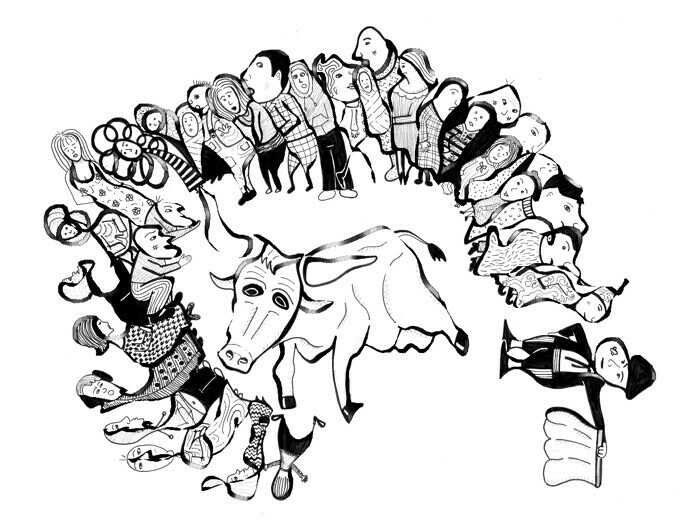 The nervous crowd corresponds to TLR4 and the bull represents MD-2. The pathogenic lipopolysaccharid is not shown, but would be located on the back of the bull, virtually riding it. The presented structure is only the half of the native complex. Hopefully, our society will soon develop a similar mechanism to protect itself from pathogens attacking our financial system. 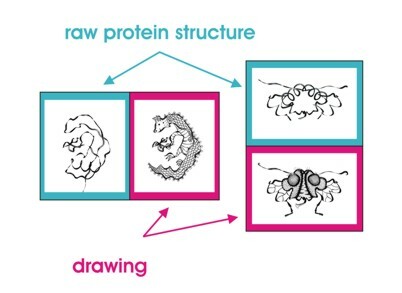 ← Do you want to see a drawing of your favorite protein?